Barry Geraghty is set to replace Tony McCoy as retained rider to owner JP McManus, according to reports. 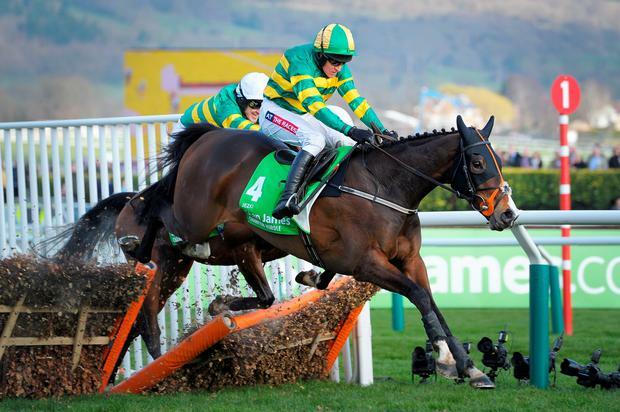 The 20-times champion McCoy retired on the final day of last season leaving a vacancy in the famous green and gold colours. Speculation has been rife as to who will replace him, but McManus' racing manager Frank Berry is hoping Geraghty will be confirmed as McCoy's replacement in the coming days. He told the Daily Mail: "Hopefully it will happen. It is just not finalised but it will be. There might be something during the week about it." Geraghty is currently attached to Nicky Henderson's yard but has ridden a number of winners for McManus, including the 2014 Champion Hurdle on Jezki. If Geraghty is appointed as McCoy's successor, Henderson would be looking for a replacement and Betfair make Cheltenham Gold Cup-winner Nico de Boinville the market leader at 1-2 to fill the void. De Boinville is already attached to the Henderson yard. Betfair Spokesman Barry Orr said: ''It appears there are a few i's to dot and t's to cross but to all intents and purposes the Geraghty appointment looks a done deal so we have paid out and thoughts now turn to who will replace Barry at Seven Barrows. However, whereas McCoy won the championship every year he was in the McManus job, William Hill make Geraghty a 33-1 chance to make up the 39 winners he is already behind Johnson this season.